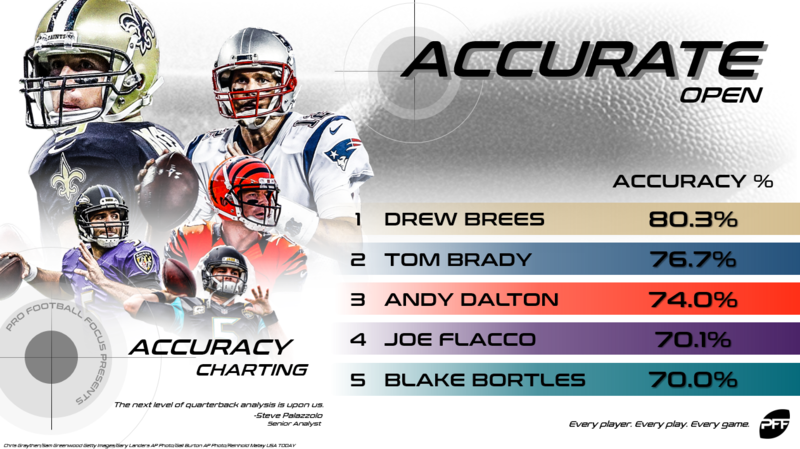 Today’s focus is overall accuracy at various levels of separation, including “accuracy plus” which is our way of identifying “perfect” throws. When it comes to separation, we are using three basic buckets: open, step/closing and tight. 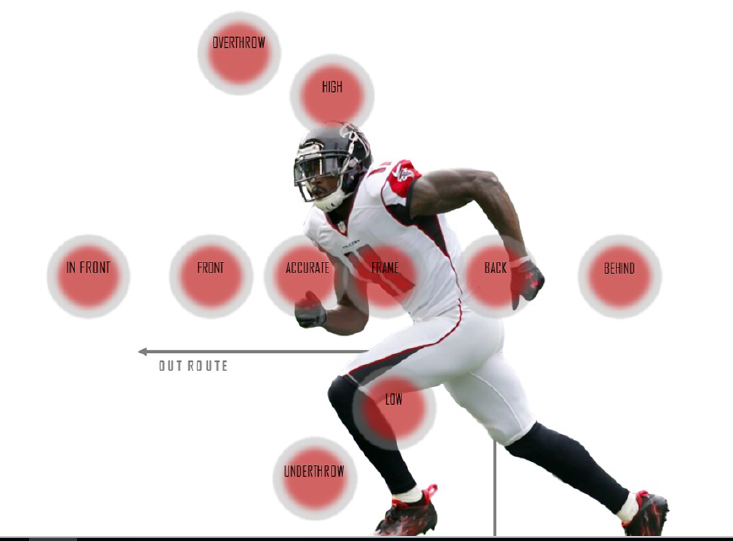 An “open” throw is generally two-plus steps of separation while “step/closing” is best described as a receiver having up to two steps of separation, either running away from a defender (step) or with a defender closing on a play (closing). Since “step” and “closing” are similar in terms of level of separation, they have been placed in the same bucket. “Tight” throws are defined by a defender being within an arm’s length of the receiver, or in the right spot in a passing window so as to discourage the throw. It’s important to note that the open and step/closing throws appear to be most stable in our early work with two years of data, while tight throw performance can fluctuate greatly from year to year.